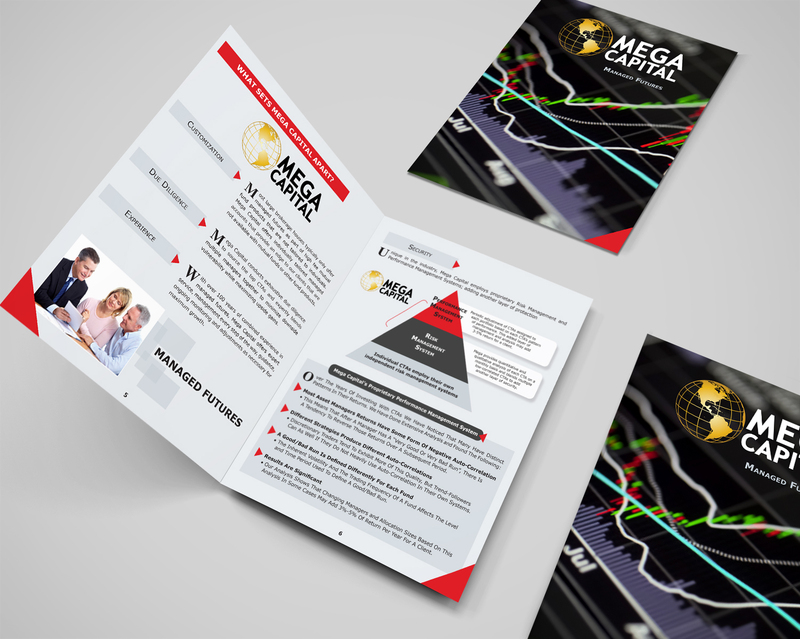 To accompany the video we produced for Mega Capital, the client wanted a brochure. The goal was to provide additional information that would complement what was talked about in the video and also be able to deliver the message as a stand alone. 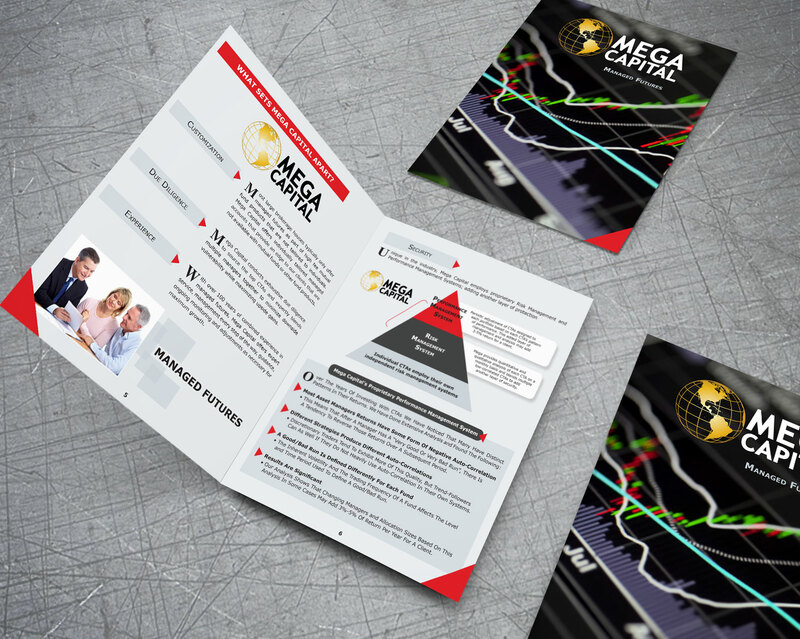 We provided copywriting and graphic design to reflect the central message of the client’s, and utilized a large scale, 8.5 X 11, brochure print to help make it stand out among competitors.